Video Baby Monitor vs. A Wireless IP Camera - it's BABY time! Baby monitors have advanced through the years. There are a wide variety of digital and video monitors now that let you hear and see your baby as they sleep. With all of these new video monitors emerging you may be wondering what the differences are between a video baby monitor vs. a wireless IP camera. There are some major differences between the two which I would like to go over to help parents make a better informed decision for providing peace of mind. 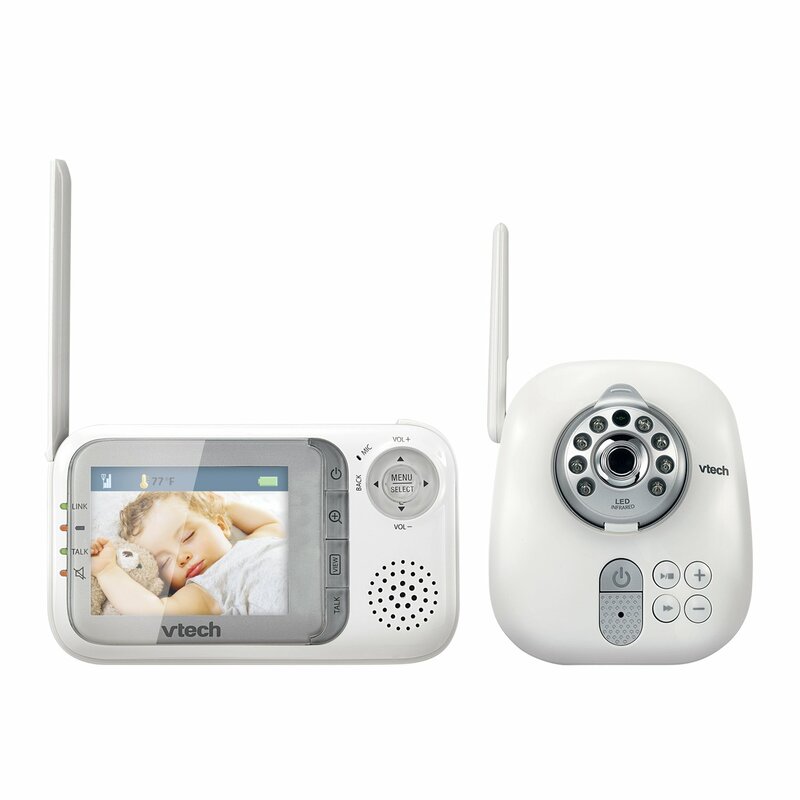 Video baby monitors come in a vast selection of different varieties. A video baby monitor often features both audio and visual of your baby to allow you to hear and see them in the nursery. They come with 2 or more pieces. The camera unit stays in the baby’s room and doesn’t require any installation. You simply place it on a shelf or somewhere near baby’s crib so you can see them. The parent unit is typically a handheld device with a screen and control functions that may adjust the volume as well as other settings based on the monitor’s features. These monitors are specifically designed for use with babies so they’ll often have features such as lullabies and talk-back capabilities that help soothe babies to sleep and allow parents to talk to their baby. Those with a PTZ option allow you to view the nursery from different angles The night vision allows visualization of baby in a dark room at night. Wireless IP cameras are simply security cameras that can be used wirelessly via the Internet. They come with software that needs to be set up on a computer before use. They work with the use of computers and come with their own software. They are used for many different purposes, mainly surveillance but also as video monitors. IP cameras have many of the same qualities as video baby monitors but without the custom features aimed towards babies. While most IP cameras feature audio that is picked up only by the camera, some do have two-capabilities that allow the viewer to talk back to the one being viewed. These cameras can be hooked up for use on a variety of devices such as computers, iOS devices, and Android phones by connecting to the Internet and downloading the necessary software. Now that I’ve covered what each one does here are some of the primary differences between a video baby monitor vs. a wireless IP camera. If you’re debating on which of the two would be most suitable for your home, here is a comparison on different qualities they both have. With the video baby monitor, you have a few more options such as the sounds feature. These also come with 2 units, one for the nursery and one for the parent. An IP camera comes as one unit because it can be hooked up to compatible devices for viewing such as a computer or your iPhone so there’s no need for a specific parent-unit. Both offer portability, however video baby monitors typically have a range limit. Since IP cameras operate using the Internet there is no range limit as to how far you can view your baby from. Just as with a video baby monitor, a wireless IP camera system can be expanded meaning you can have multiple cameras to cover different areas. Most baby video monitor systems are expandable up to 4 cameras. The difference is the viewing capability. While some baby monitors have the option of an additional parent unit, they generally only come with one. 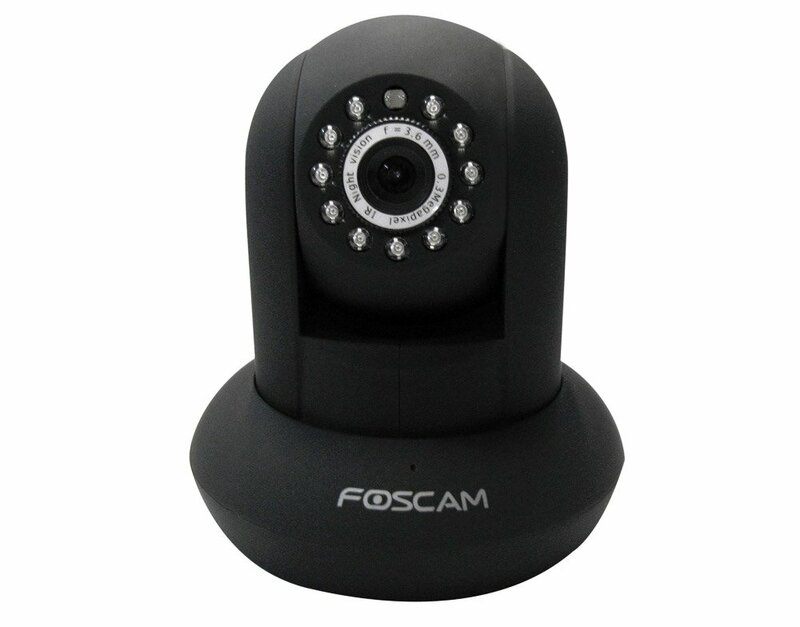 With a wireless IP camera, however, it can be viewed on multiple devices simultaneously without the additional purchase. Another factor between these two options worth noting is that IP cameras can be much more cost-effective than a baby monitor system. They are generally cheaper for one and you don’t have to purchase additional units for viewing. This does come with a potential risk, however because the IP cameras operate wirelessly through use of the Internet which subjects it to hijacking. Something you may want to take into consideration when choosing one of these two options is who will be using the system. The video baby monitors are more user-friendly because they come ready-to-use with the required components. Wireless IP cameras, on the other hand, have to be connected to a compatible device using the software that comes with it. When looking at a video baby monitor vs. a wireless IP camera they both have their advantages and disadvantages. It’s all a matter of preference and which option better suits your needs. Be sure to check out the selections featured in our Buying Guides on Best Selling Baby Monitors and Best Selling IP Cameras! Thanks so much for making this clear to me. 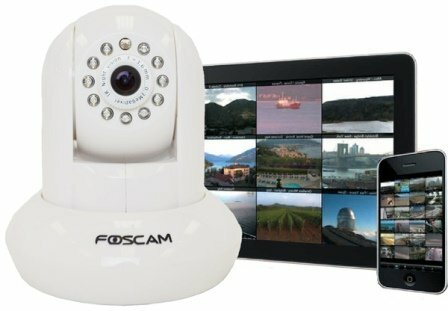 I was confused on the differences between a nanny cam and a security ip camera. I know now I need to get a security camera so I can view my dogs from work and would have made a costly mistake buying a nanny cam.